Have you ever tried to compare two catalogs or brochures of two separate real estate projects from two different companies? At the surface you may feel that they are different but their structures are exactly the same – show great images of the project, talk about how it will bring immense peace and harmony in your life, how it is a great investment and add an offer here or there. When an entire industry is trying to market their offerings in identical ways, how do you plan to differentiate yourself? Well, as they say, the devil lies in the details! You can use the most intricate definitions for your projects but here is a thing – we as humans can easily comprehend visuals instead of imagining the aftermath of texts. Think about it, what is easier for children to remember – a story from a picture book or a story from a text only book? Since our earliest days, we have been perceptive to taking information visually. Then why do you want to rely on the old tricks of marketing real estate projects? As you read it earlier, we as humans are more receptive to visuals than to texts. You may write ‘serene’, ‘divine’, ‘peaceful’ and ‘heavenly’ all over you catalog but it will only seem too farfetched to your customers, after a point. That said, when you add a detail like a 3D floor plan, you are allowing them to see it for themselves. This way, they get to understand it without you trying to sell it hard. Most architects and interior designers at their level are already trying to define their unique style of work. This way, the final output they give is naturally different and unique from what is available in the market. That said, when it comes to marketing, it all gets too monotonous too soon, especially with catalogs. So, if you know that your architects, interior designers and project planners have done their best to differentiate their work – then it is your responsibility as a marketer to justify this differentiation. How? By adding a 3D floor plan rendering to your catalogs. 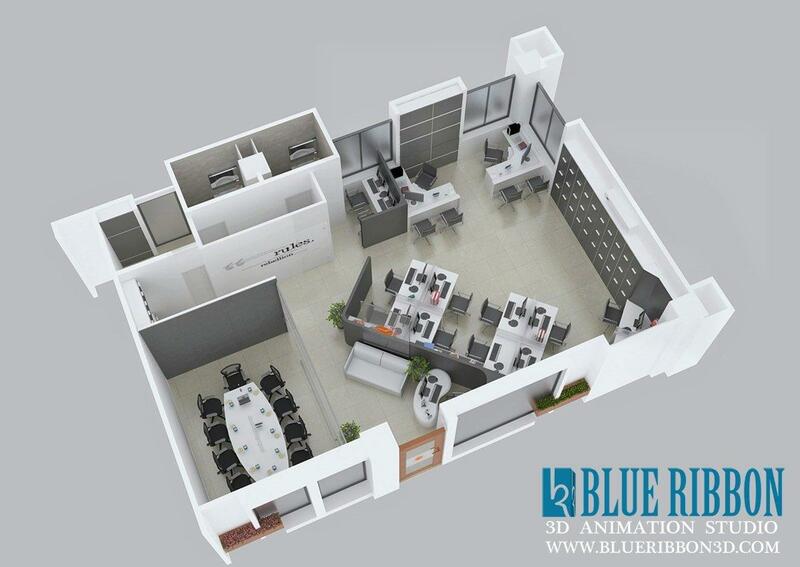 A 3D rendered floor plan will naturally glorify the vivid features of your project’s design and feel. This way, the work done by your designers actually gets perceived the way it is – unique. Finally, this is the name of the game – sell. Real estate selling can get difficult at times, especially if you are competing with deep pocketed players. A competitor may buy all the media spots and hire high flying celebrities, what they cannot do it explain their project in a simpler way than you explain yours. If you use 3D illustrations and floor plans throughout the communication of your project, you are helping your customers make more informed and well perceived decisions.